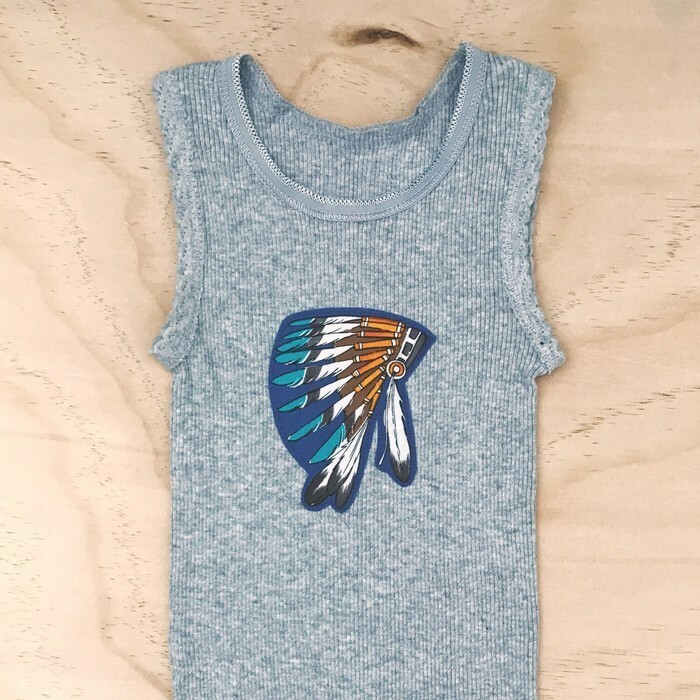 Grey cotton singlet with ‘Indian Head Dress’ applique. 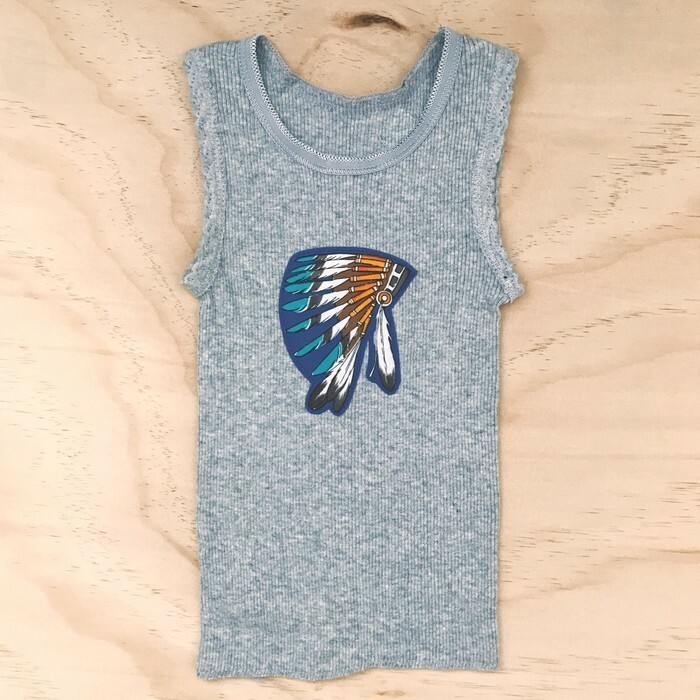 Applique has been bonded & stitched for durability. Postage is $8.50 for a trackable post bag for as many items as you like. LIKE retro bimbi on Facebook to keep up with the latest sales and new arrivals.